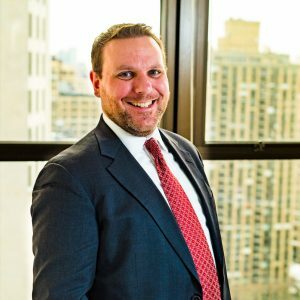 Richard R. Volack | Peckar & Abramson, P.C. Richard Volack is a Partner in the Construction Law Group at Peckar & Abramson. He counsels some of the country’s largest general contractors, construction managers, and owners in all aspects of construction dispute resolution, including claims involving breach of contract, construction defects, design defects, schedule-and-impact delays, mechanic’s liens, surety bonds and insurance. Mr. Volack’s practice encompasses dispute resolution through mediation, arbitration and, when necessary, litigation. He also counsels clients on litigation avoidance practices, risk management, project planning and contract negotiation in relation to construction projects, both in both domestic and international settings. He is a frequent lecturer on construction insurance, risk management, the New York Mechanic’s Lien Law, e-discovery and electronically stored information (ESI) issues as they relate to construction litigation. Mr. Volack is admitted to practice in the States of New York and Connecticut. He is the past chairman and past secretary of the Construction Law Committee of the New York City Bar Association and a member of the Construction Law section of the American Bar Association. He received his bachelor of science from the University of Scranton, a master of arts degree from the Maxwell School of Citizenship and Public Policy at Syracuse University and his law degree from Syracuse University College of Law, where he served as the business editor for the Journal of International Law and Commerce. Syracuse University -Maxwell School of Citizenship and Public Policy, M.A.